Menomonie, Wis. — University of Wisconsin-Stout, Wisconsin’s Polytechnic University, can hang a new banner from its rafters: National video game champion. Flash Frozen, a video game created by a team of UW-Stout game design and development students, was declared national co-champion Thursday, June 13, at the Entertainment Software Association E-3 conference in Los Angeles. UW-Stout’s game tied for first in the inaugural E-3 College Game Competition. The other co-champion was Lost in Thought, a game from Savannah (Ga.) College of Art and Design. The games were judged by leading professionals in the industry. 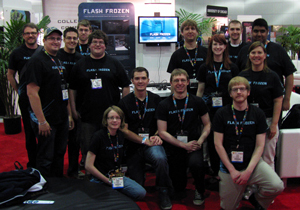 UW-Stout students who created the video game Flash Frozen gather in front of their display at the E-3 conference in Los Angeles. Flash Frozen was declared the E-3 College Game Competition national co-champion. Nearly 400 U.S. colleges and universities offer video game design programs. UW-Stout, Savannah and three other schools were named finalists out of 60 entries and presented at the conference, considered the premier world event in the video and computer game industry. More than 48,000 people from 102 countries attended the conference, which began Tuesday. “This is an example of a program that has achieved excellence with fantastic leadership under Diane Christie and Dave Beck and all the faculty involved,” said Jacalyn Weissenburger, associate vice chancellor for Academic and Student Affairs. 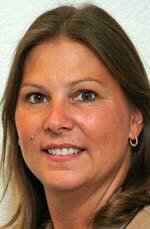 Diane Christie is the program director. 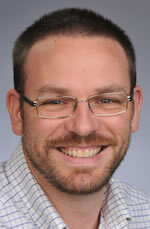 Dave Beck is the program’s art coordinator. “It’s a remarkable milestone for Flash Frozen to win the national title and be created by students from a program that is only four years old,” Christie said. Flash Frozen is a survival horror game. Players are trapped on an iceberg in a haunted, shipwrecked vessel. Players must escape the ship while surviving the harsh, frozen environment and its many dangers. 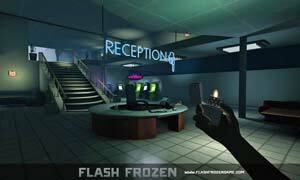 For more information about the game, go to www.flashfrozengame.com. A total of 12 students developed Flash Frozen in the senior 3D Game Design class taught by Christie and Beck. Eight of the 12 students who created Flash Frozen are artists and four are programmers. Students in UW-Stout’s program can concentrate on art or computer science aspects of video and computer games. Connor VanDyke, of Eagan, Minn. In March, UW-Stout’s game design and development program was named one of the top 30 in the U.S. and Canada by Princeton Review. It was the only program in Wisconsin or Minnesota that made the list. To learn more about the program, go to www.uwstout.edu/programs/bsgdd.